In order to officially secure financing on your next home purchase with the VA financing, you will need to obtain a VA Appraisal. This tool is used to determine the fair market value of the home you intend to buy. In turn, this helps both the buyer and the lender to protect their interests. The VA home appraisal is a significant hurdle that must be crossed before you can move forward with purchasing your home. How does this tool help to protect both you and the lender? 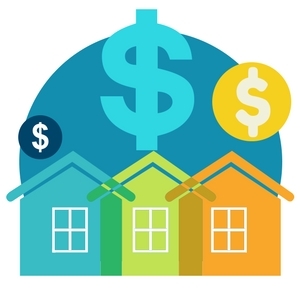 Some homes are priced above what would be considered fair or reasonable based on their condition and the prices of the comparable surrounding homes. If you were to default on your loan, the bank would take ownership of your property. They want to ensure that they can resell the home to recoup their initial investment in your financing. Similarly, not all homeowners intend to stay in one home for the rest of their lives. You may decide to move on or receive orders to be stationed elsewhere across the country. The home you purchase should be able to be resold for at least the amount you originally paid in order to cancel out the mortgage debt you incurred. The lender is the preferred party who will initiate the appraisal process and formally submit the request shortly after the home moves under contract. However, any party to the mortgage purchase may submit the request for a VA loans appraisal as long as it is a VA-certified inspector who completes the job. Is a VA Appraisal the Same as a Home Inspection? On the surface, you may notice that the VA loans appraisal is meant to financially protect the lender. The VA appraisal is also designed to help protect veterans from purchasing a home in need of significant repairs. 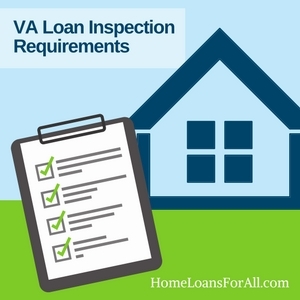 This must be completed prior to the closing of the loan in order to guarantee financing from the lender and the Department of Veterans Affairs. The timing of the VA appraisal prevents the sale from going too far without the property meeting minimum property requirements or being reasonably priced. While the primary goal of the VA loans appraisal may first appear to be protecting your financial interests, it also ensures that the house meets the minimum property requirements. These are the basic rules established that make the house safe and sanitary. Appraisers are looking for major hazards, including those with electrical issues, termites, or running water. It’s a cursory glance over many of the most important components of a home, but it’s not an exhaustive list. A VA home inspection provides a more thorough examination of the property. This additional step is optional but highly recommended. A home inspection may uncover far more issues with the property than you could expect with an appraisal. Inspectors are trained differently than appraisers, with an eye more for the finer details of your home. They will thoroughly inspect the roof, electrical, plumbing, and more. Once you have a detailed look at any issues that present themselves, you may opt not to purchase the home (if you have an inspection contingency). The repairs could be too costly or more extensive than you’re willing to commit to. However, a VA home inspection is a great idea to make sure that you know what to expect before you take out a thirty-year mortgage. This federal program wants to ensure that every property purchased by veterans and active-duty service members meets a few minimum standards. These are known as the minimum property requirements (MPRs). They help to establish a baseline that determines whether a property is going to be safe, sound, and sanitary for your residence. It may seem like another hoop to jump through or a delay in obtaining your financing, but these property requirements are designed to protect you as the home buyer. As we mentioned earlier, this is not an exhaustive list of issues that could be wrong with the home. You would need an inspection for that. However, this is to make sure that it meets the VA loan inspection requirements in regards to basic health and safety. For example, they will start by making sure that this is designed for residential purposes only and provides adequate living space. There isn’t necessarily a magic formula to determine the amount of living space necessary, but it should be large enough to allow you to do all of the basic daily activities like eating and sleeping. Electrical and plumbing systems are safe. The property must be able to demonstrate that all of these systems work appropriately and will continue to do so. It should be noted if it becomes apparent that a significant repair is looming on the horizon. Heating is adequate. The home must have heat in order to make a safe living environment. This will be tested as part of the minimum property requirements. Water is available. Clean drinking water is a must-have feature for any home.A VA loans appraisal will make sure that there is running water available and provide testing of well water to determine whether it is safe to drink. Public or county water can usually forego this additional testing step. Roofing is in good shape. Your roof protects the entire home from the elements. It should be in good shape now and for the foreseeable future. Read more about VA Roof requirements here. Property is accessible from a street. You should be able to enter and exit your home without illegally trespassing on someone else’s property. This requires a permanent driveway or a permanent easement with a neighboring property.While you may be allowed to share a driveway with someone else, additional documents might need to be drawn up to outline the responsibilities of each party when it comes to maintenance and upkeep. No defective construction. This category includes a wide variety of issues relating to the structural integrity of your home. It may start at the foundation, checking for cracks or rotted wood in the crawl space. The foundation should be stable and not in need of current (or future) repair.Water damage is also taken into consideration when looking at the lower levels of the home. From there, you can move all the way into the attic. Here, ventilation is going to be key in order to prevent future issues with mold. Termite inspection. Would you really want to purchase a home that was infested with termites and other pests? A basic termite inspection provides answers to some of these extremely pressing issues.The VA appraisal should also take a look at whether there is any damage done by a previous infestation, such as rotted wood or significant repairs needed. No safety or health hazards. It seems like this should go without saying, but your VA loans appraisal is concerned with identifying any potential health or safety risks that this property poses. This could include exposed wires, leaking sinks, or a dry rotted roof. Anything that poses a concern for safety is noted and needs to be repaired. No lead-based paint. Older homes may have been decorated using lead-based paints prior to the year 1978. The dust created by this paint can lead to lead poisoning. Your inspector should check to make sure that the paint on the walls does not fall into this category. The basic premise of a VA appraisal is to make sure that your potential home can live up to all of these minimum property requirements. Sometimes, that turns out not to be the case. Before you despair over potentially losing your dream home, you may still be able to work out a way to secure financing for this specific property. Depending on the issues and the agreeability of the sellers, the current homeowners may be willing to make the necessary repairs. You may even be able to cover the cost of the repairs yourself in order to move forward with the financing. Either way, these minimum property standards should be met on any home you will live in. These standards aren’t set out by the federal government simply because they are guaranteeing a portion of your financing. These are standards that all properties should meet to make your living spaces safe and sound. If the property doesn’t meet these minimum standards, you may really want to consider whether it’s going to be the best house for you. You should always have the option to walk away from the purchase and continue on with a new search for the perfect home. How long can you expect this stage of your financing approval to take? Many new home buyers are anxious to get themselves into their new home and resent the idea of waiting for an additional step. 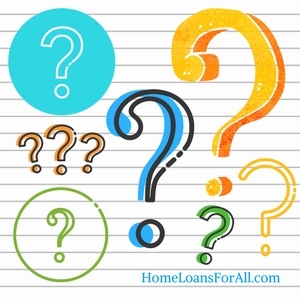 Understanding the VA loan appraisal timeline can help you to prepare yourself for the anticipated time required to complete this essential step. It begins when the lender (or another member of your loan team) sends the official request to the VA. This notifies them that you are ready to move forward with the VA home inspection for minimum property requirements. An appraiser will be assigned to your file and schedule a time to complete the walkthrough. The VA will send out an independent inspector to take care of this step. 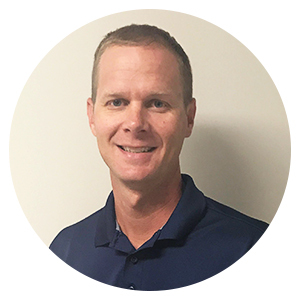 A third-party who works for neither the Department of Veterans Affairs nor your lender ensures that you are getting an objective look at the home. They do not have to protect anyone else’s interests in financing the property except for yours. Overall, it should take ten business days or less to compile the full report. Homeowners may experience a delay in some areas where there could be a shortage of available independent inspectors. It’s always best to plan for a few extra days just in case something else arises that you weren’t expecting. Fortunately, the appraisal process is relatively short. This gives you plenty of time to move forward with a home inspection as well if you choose to do so. As you may have already guessed, a VA appraisal isn’t completely free. The prospective home buyer is required to pay for the appraisal upfront whenever the task is completed. Many home buyers choose to have a thorough home inspection completed first in order to spare them from paying the VA appraisal fee on a property they won’t purchase. This is one way to save money on a house that could be a potential money pit. However, they are both essential aspects of making a wise investment and the appraisal is non-negotiable. Your VA appraisal should cost anywhere from $300 to $500, depending on the state and the type of home you purchase. For example, a VA appraisal on a single-family home is typically more expensive than a similar appraisal on a manufactured home. You will be responsible for this fee at the time services are rendered. The initial cost could be reimbursed during your closing costs based on your negotiations with the seller. It isn’t a guarantee that you will be able to recoup these costs though. Read more about VA Appraisal Fees here. Sometimes, a property does not appraise for the list price when your appraiser determines the fair market value of the property. Lenders may hesitate to offer financing on a property that isn’t worth as much as you are currently projected to pay. If you were to default on the loan, they would not be able to recoup their costs based on what the property could potentially sell for. When this happens, homebuyers are presented with a few different choices. The simplest option is to walk away from the property and find another house that would suit your needs. Unfortunately, most buyers are very committed to a specific property by the time the appraisal returns. You may not want to start the house hunting all over again. The second option is to request that the seller lower the price to meet the fair market value determined by the appraiser. You may have some success with this method and still be able to secure full financing for the property. The seller could opt to meet you in the middle of the appraised value and the list price, which still leaves you in a bit of a bind. You may be required to bring cash to closing if you still want to proceed with a home that costs more than it’s worth. For many prospective buyers, this isn’t going to be a possibility. One of the largest advantages of opting for a VA loan is that no down payment is required. Buyers may not have thousands of dollars saved up to cover the additional expense of putting down money at closing. It’s even possible that you don’t believe the appraisal was completed fairly or accurately. Perhaps you found comparable properties in the area that appraised for much higher than what your desired property did. You can always call the appraisal itself into question with a Reconsideration of Value appeal. A home buyer, lender, or real estate agent can request that the appraisal be reconsidered by submitting what is known as a Reconsideration of Value (ROV). You will need to notify your lender of the request and give them an opportunity to review both the appraisal and the reasons why you believe it should be reconsidered. If you have any substantial claim to request a revised appraisal, the lender will then forward the information over to the appraiser who was initially assigned to your property. It will require a lot more work on your part than simply signing a letter requesting this ROV. Research other properties in the area of your pending sale to be used as comps, explain why remodeling changes boosted the home’s market value, and any other details you find pertinent that weren’t accurately included in the initial appraisal report. Furthermore, you should even take the time to thoroughly check and recheck the numbers in the first appraisal. It’s possible that there were errors in addition or other math sections that led to a lower appraisal value. These are relatively easy to fix, but they can take quite some time to spot. The Reconsideration of Value is still not a guarantee that the home will appraise for the asking price. If this doesn’t yield any results, you will have to come to grips with one of the three main options you have left: renegotiate with the seller, bring money to the closing, or walk away from the property altogether. A VA home appraisal is a necessary part of the home buying process when you make use of this advantageous federal program. 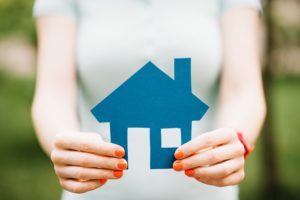 It can help to ensure that the home meets some very basic minimum property standards and allows you to make sure you receive a good deal on the property. Be certain not to confuse it with a VA home inspection though. Take the time to carefully read over any appraisal reports generated on a potential property. You should know everything there is to know about a home you plan to purchase. Allow this stage to help you make an informed decision about the purchase of a particular property. What is the difference between a VA appraisal and a VA home inspection? 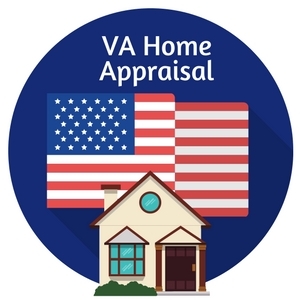 A VA appraisal is designed to assess the fair market value of a property and ensure it meets the minimum property standards. It provides a cursory look at some of the most important features related to safety and health in the property. A VA home inspection is a separate process that takes a much more in-depth look at any potential issues with the property. Only the VA home appraisal is typically required, but it’s highly recommended that you have both. What does a VA loans appraisal cost? The cost for a VA loan appraisal varies based on the type of property you are attempting to purchase and the state in which it is located. For detailed specifications regarding the appraisal price, you can select your state from this list. Are there new appraisal requirements in 2018? No, there are no new appraisal requirements for 2018.
Who orders the VA appraisal? Anyone who has an interest in the sale of the property may order the VA appraisal, but it is preferred that the lender initiate the request. I got an appraisal. Do I have to get a home inspection too? Only the VA appraisal is absolutely required for the purchase of the home. However, a VA appraisal takes only a cursory glance at some of the main areas of the house to determine if it meets the minimum property standards. A home inspection, while optional, is highly recommended because it takes a more thorough look at the state of the home. Why did my home fail the VA Home appraisal? Your potential property could fail the VA Home Appraisal for an inability to meet any of the minimum property requirements. This often means that the home doesn’t have adequate heating or electrical systems, has a roof in disrepair, or is infested with pests (including termites). However, this list is by no means exhaustive of all the possible ways a property could fail the VA appraisal.